After a clinical examination, your dentist tells you that you got your first cavity! Don’t worry because you are not alone! About 50% of the population is diagnosed with cavities at least once in their life. So, what are teeth cavities and how are they formed? Continue reading to find out more. Cavities are formed when the mineralized structure from the outer hard enamel layer of the tooth is lost. As a result, the tooth structure becomes weak and small holes and craters start forming on the affected tooth. If the cavities are not treated promptly, they continue to increase in size and the tooth continues to become weaker. Ultimately, the impacted tooth becomes so fragile that it fractures under its own weight. The Initial Stages – bacteria resides in plaque and tartar and use the sugars from the plaque for their metabolism, which then releases acids into the oral cavity. The increased acidity inside the tooth forces the mineral content from the tooth to move out into the oral cavity. As a result, the affected tooth becomes weak and tiny holes start to appear on the tooth’s surface. 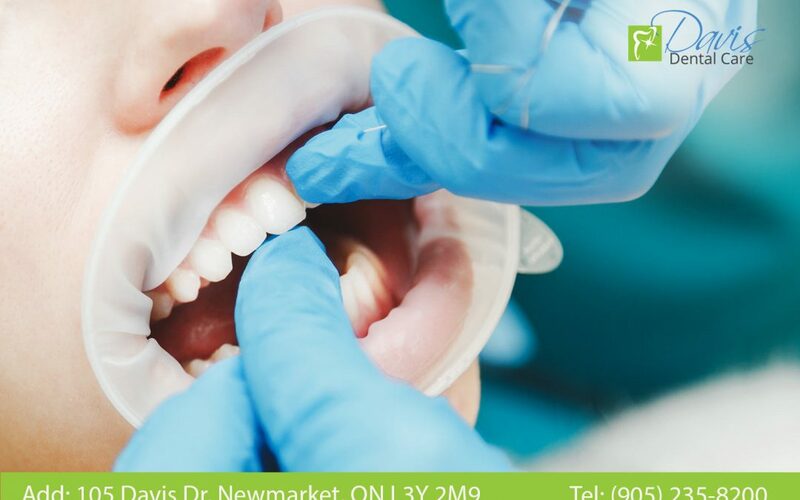 At this stage, removing the damaged tooth structure and replacing it with a suitable filling material can typically treat the problem. Advanced Stages – if treatment is not sought during the early stages, the condition progresses in which the whole protective enamel layer is lost. This results in exposure of the underlying sensitive dentin and pulp layer. At this point, you will most likely experience symptoms such as sensitivity/pain when having hot or cold beverages. Initially, the pain is temporary, and it goes away as soon as the stimulus is removed. However, in more advanced cases, the pain becomes permanent, and it is not relieved even after taking pain medication. This indicates that the underlying pulp tissue has become irreversibly inflamed. At this stage, the only option to repair the tooth is to perform a root canal procedure to remove the inflamed pulp from the tooth’s interior and replace it with an inert filler. What are the Risk Factors for Developing Teeth Cavities? Irregular Dietary Habits – research has shown that it’s not the amount of sugar and carbohydrates you eat that causes cavities to develop, but more so, the frequency of their intake. Therefore, those who frequently eat snacks or sweets during the day are at a higher risk of getting teeth cavities. Dry Mouth – saliva inside our mouth has several essential functions, including cleansing of the teeth and maintenance of neutral pH levels to prevent cavities. In certain conditions such as xerostomia or due to use of certain medications, the production of saliva is considerably reduced. As a result, the risk of getting teeth cavities in increased. Damaged Fillings – when you have worn or damaged fillings, there are higher chances of development of secondary teeth cavities in the region where a gap exists between the filling and the tooth structure. Heartburn – when you have heartburn, the acidic fumes from the stomach rise into the oral cavity and can cause teeth cavities on the inner surfaces of the teeth. Bedtime Eating or Feeding – children who are fed at bedtime, or those who sleep while drinking milk from a feeder bottle are at a higher risk of getting cavities. Similarly, if you like to eat before bedtime without brushing your teeth, be ready for those cavities! Teeth cavities are very common so, of course, there are methods to treat them. Especially now, filling material has been developed to be very aesthetic and durable. However, the best way to prevent teeth cavities is to make sure to brush and floss every day and visit your dentist regularly for checkups.